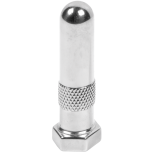 This nickel nut is 1 1/8 Inch tall. 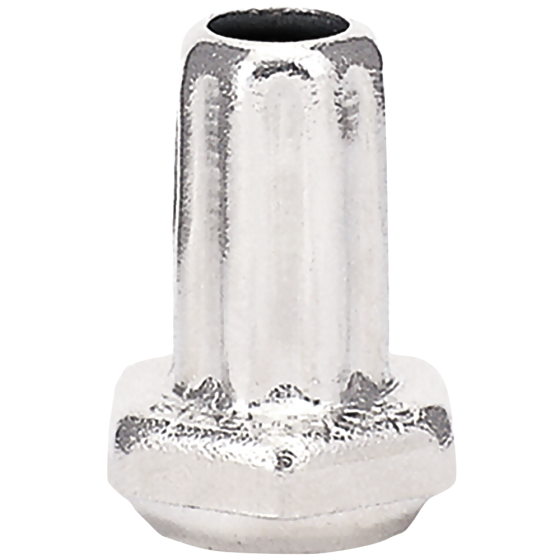 This valve stem nut threads on wider portion of nickel stems. It holds stem in place to eliminate slippage of tube. The bright nickel finish resists corrosion. Coker Tire also offers a selection of tire valve caps for valve stems.